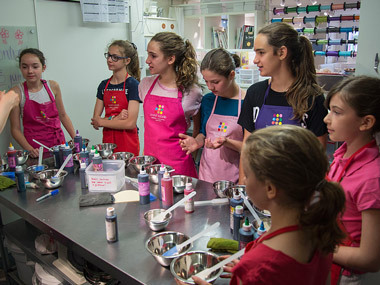 Our culinary day camps in Montreal (Ahuntsic, 2 steps from Laval) will satisfy your children and teens! On the menu: preparing, confectioning and decorating shortbread cookies, cupcakes, fondant figurines, and much more! 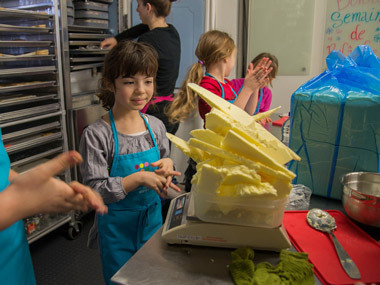 After a few days in our kitchens, your children will become true apprentice bakers! • rolling and cutting of cookie dough. They will also make their own lunch. We provide all the necessary ingredients and assist the children in the making of this savory part of the day! 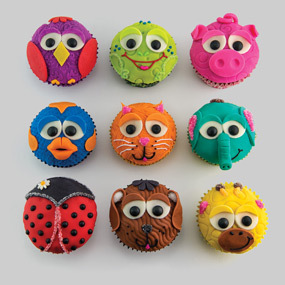 Here's an exemple of animals cupcakes that children will be able to decorate in the daycamp. Click here and here to view some day camp workshop photos. > Une relâche scolaire qui se mange! At the day camp, the children prepare themselves the recipes as the royal icing and the colouring which will then serve to decorate biscuits. Cookie dough: the children love making it themselves! And it is pure butter, naturally. 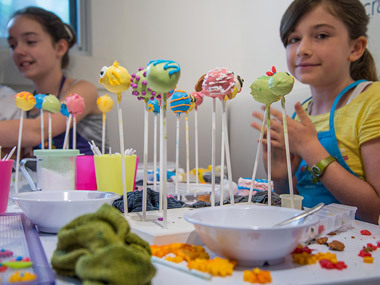 A culinary day camp at Sweet Isabelle is a door open to the creativity! As much with cakes-pop as cupcakes and cookies.